Fantastic book what can I say i was pleased to read a great book from start to finish it was great. I had just read The Letter with was great as well just looking forward to the next book hope it's not too long to wait for it. Good story,well writen,but not so enthralling as I thought it would be after reading reviews. Another ‘just one more chapter’. What an amazing tale of love and coincidences. So many ‘if onlys’. 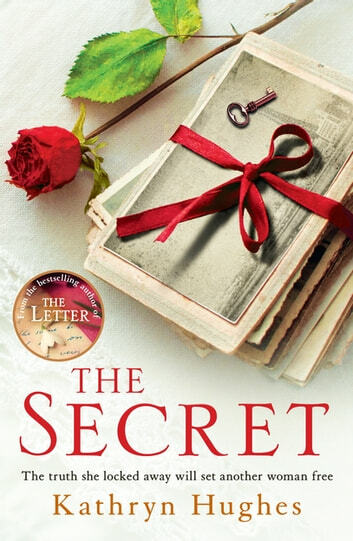 The Secret is a tale of something good coming from something tragic. As with Kathryn Hughes’s other books, I was torn between not wanting to put it down and wanting to slow down, knowing every page was taking me closer to the end. This is the second book by Kathryn Hughes that I have read. I enjoyed this one even more than the Letter. I loved how it switched between times and really surprised me too! The characters really touched on me and even though I didn't like them all, the fact that I felt that way shows how well written it is. I Can't wait to read her next one.